But now we see wounded challengers limping back into the office, tails between their legs. The problem is, the customer started challenging the sales person, asking questions, drilling down, trying to learn more. And to many sales people are unable to respond. They may not have the depth of experience, the “scars,” or even the business understanding to respond, engaging the customer in ever deeper conversations about their businesses. It seems to be, successfully delivering and defending Insight requires scars. With very complex problems and solutions, we’ve long known it’s impossible for the sales person to have the depth of knowledge necessary to respond to all the customers’ questions. We’ve known we have to provide specialists, pre-sales support, technical support, and other resources to help the sales person respond to the customer in helping solve their problems. 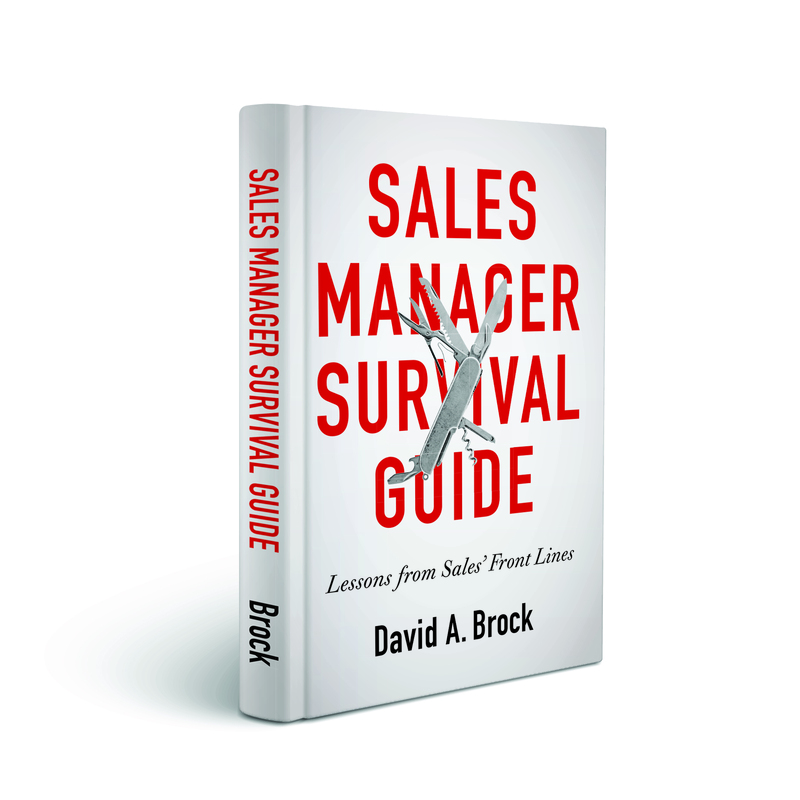 In very complex sales, the sales person becomes more of a resource manager, conductor and director. They get the right people involved, the manage the entire process and keep it moving forward–both on the customer side and with their own teams. So as we implement Challenger, why should we think it should be any different. Why do we assume the sales person is the person that provides the Insight? Couldn’t the Challenger sales person be the orchestrator of the process? There are many interesting characteristics of Challengers, they understand the customer’s business, they get the customer to think differently about their business, they take control of the sale, and many more. But it’s naive to think the Challenger sales person has to do it all themselves (God forbid we see the rise of the 2013 version of the Lone Wolf). I’m not certain Matt Dixon or Brent Adamson would claim to have represented Challenger sales people to be the only teachers of the customer. Additionally, I would tend to guess, that great Challenger sales people are probably very effective in leveraging resources within their own organizations. Perhaps we are doing the wrong thing in equipping the sales person to actually to the Teaching Pitch. We can’t expect the sales person to go 10 levels deep into semiconductor fabrication technologies, but supported by engineers, physicists, meteorologists, and others, they can deliver help customers rethink the semiconductor fabrication process, improving yields. Likewise, we can’t expect a sales person to challenge Boeing to rethink their airplane design and manufacturing process, but accompanied by experienced airplane designers, we can. Perhaps one of the greatest capabilities of Challengers, but seems not to be discussed much, is “they take control of the sale.” This means they provide leadership to the customer and their own teams in moving the buying process forward. The best semiconductor physicists in the world can’t do this. Nor can the best airplane designers. So while deep Insight, getting customer to think about their businesses differently, challenging them to see new possibilities is critical to creating value for the customer, the sales person doesn’t have to be the person doing this, they just have to be the people to make it happen. Providing Insights to our customers is a critical part of creating value f(it always has been). It’ is a core part of Challenger (as it is with other sales approaches). We need to structure our organizations, providing the right resources to support sales in delivering these Insights. 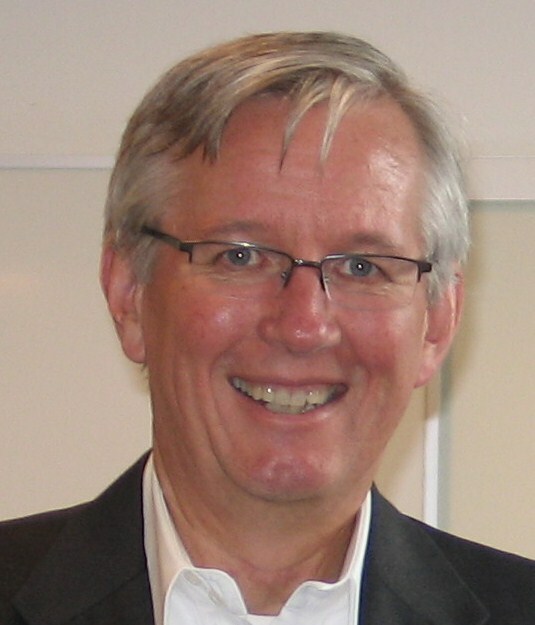 Where sales has the capability, depth of experience, and understanding to do this, that’s great–but where they can’t be expected to do so (or we can’t find enough “airplane designers” who can sell), then we have to provide the resource to support them, leveraging them to help teach the customers. We (and possibly the CEB) need to rethink the Challenger Implementation. Some time ago, I wrote Sending Your People Out Naked, The Problem With Challenger Selling. I suggested Challenger is an overall organizational strategy, not a sales strategy. Maybe we need to rethink the “Insight” piece. Sales people may not be the most appropriate people for delivering the Insight, but they are accountable for making sure those conversations are being held with the customer. They are accountable for getting the right resources in front of the right people at the right time, stimulating the right conversations. From an organizational point of view, whether it’s Challenger or any other model, we need to constantly rethink the way we deploy resources to maximize our ability to connect with the customer, so that as organizations we are constantly providing Insight, perhaps through the sales person, perhaps at the direction of the sales person, perhaps in what we stand for and how we present ourselves in the markets. We need to think of delivering these insights in the most impactful, effective, and efficient way possible, and get off the idea that it has to be the sales person that is the deliverer of Insight. There hasn’t been a lot of discussion about what the Challenger sales person does once she gets the customer hot and lathered to change. There certainly needs to be more discussion about this, but it is clear, Challengers take control of the sale, they provide leadership to the customer through their buying process. Do they do everything, no, they orchestrate the right resources to help move the buying/selling process effectively. Those resources may be from their company, they may be the customer resources. Isn’t this what professional B2B selling is really about? Whether you call them Challengers, Solutions Sales People, Customer Focused Sales People, or any other label. The top performers always take control of the sale. Thanks for the post. I have few things to add to the discussion. This is a good critique of the Challenger Sales model. The Challenger Sales model may have worked five years ago, but I am not sure how effective it is today. The main reason being social media. The book does not focus on this at all. It leaves it for the marketing department to come up with the content. I am not sure that is going to do it today. Teaching is hard stuff and sales people do teach with bias (and the book recommends that sales people do just that), so you can’t masquerade a salesperson as a teacher. I think customers will listen to the Challenger and then go back to social media and the Challenger is no longer challenging but being challenged hard. I am not sure many salespeople can handle this onslaught. This could also damage the relationship. Customers want something new that they can develop with the help of the Challenger. This means that unless a Challenger can co-create with the customer, I am not sure how much value he or she would be adding to the customer. Again, this is not easy stuff. It requires more than just sales acumen. Furthermore, I believe salespeople have to take control over content and, especially, context marketing. Unless they do this, they are vulnerable to Marketing. Salespeople have built relationships with customers, but now have to use their inside knowledge to develop content for their customers. Again, this is lot of work and one needs to be adept at quickly generating content such as video, podcasts, Hangout, blogs, etc. 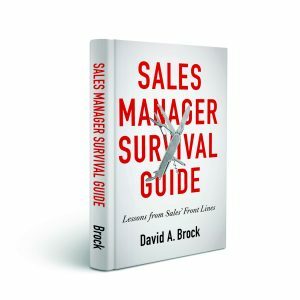 I like the book since it makes you think, but it needs to be revised for the current challenges salespeople face. Again, thanks for the post and excuse the long comment. Thanks for the comment Jay, I actually have a different view. 1. As a disclaimer, I’m a tremendous fan of the Challenger principles and think there is a lot to learn from their research. I also think that limiting our view of Challenger to what is in the book is wrong. Matt, Brent, and the CEB folks write a lot about other aspects of challenging in the blog, HBR and other articles. They’ve in fact written a lot about the importance of social media, how customers are leveraging web research, etc. I’m not a big fan of many of the ways Challenger is being implemented, which is probably some combination of customer problems and the CEB focus. But we could say the very same of every other sales training program and methodology. 2. I think sales people have always had a “teaching” or educational role. I think that’s an important part of selling, we just have to be aware that what we teach, how we teach has changed. We used to teach people about products, then we taught them about solutions. What Challenger and many others talk about is teaching them how to think about their business differently. 3. Teaching is hard stuff, we need to train sales people how to be more effective in their teaching role. Much of Challenger focuses on the sales person as the teacher, but it may not be the sales person doing the teaching. It may be an expert in a certain area (new ways of designing airplanes as an example). I do think the sales person as a teacher/facilitator to helping the customer learn how to buy is something that sales people have to do. 4. As you point out, the sales person isn’t the only channel for teaching. We need to become teaching organizations, so through every channel, whether it’s our websites, social media presence, presence at conferences or through the sales force we are consistent in our teaching. 5. Everyone teaches with an agenda, and it’s our responsibility to our company to teach with an agenda. School teachers have an agenda, our community leaders, our newspapers, our newscasters, everything is done with an agenda (as a side note, that’s why developing critical thinking skills is so important). We shouldn’t apologize for our agenda, because our objective is to persuade and influence the customer’s thinking. 6. Sales and marketing need to work together in developing and delivering content/context. We need to integrate sales and marketing, we need to integrate messaging and content development/delivery strategies. Marketing classically is a one to many approach, with sales translating that to a one to one approach. However, there are tools that are enabling marketing to come much closer to one to one. We need to rethink the entire sales/marketing process. As you state, it may be the sales person that kicks it off with insight, then the customer goes to the web for a period of time, where marketing is a greater influence in teaching, then the sales person gets re-engaged. 7. I don’t think Challenger has done a very good job of addressing the “what comes next.” I don’t know that they have yet addressed the engagement process beyond the “teaching pitch.” I don’t know that they have sufficiently delved into how the sale person controls the sale. I look forward to those with anticipation. I’m a big fan of the principles, I think, as with anything, there is a huge implementation gap. The one thing that makes me a HUGE fan is Matt and Brent have stimulated a discussion about the profession of selling — that has been sorely needed for decades — that few others have ever done. We now have sales people and leaders rethinking everything we do. I 100% Agree, David. And it is in the Discussion that WE will ALL progress, not in the shallow criticism that so often has appeared about TCS, which is an anchor to past sales approaches. I have been putting the Challenger Sale to work for almost 2 years now. It is NOT easy, but nothing in Sales is easy, its a tough job, we have tough competitors in a tough market! I have had to overcome many Implementation Difficulties, and I am not waiting on their follow-up book, they gave us all the topics we need, but WE have to LEARN how to do it. Its the 10,000 hour rule, nothing more nothing less. I am just happy I started 2 years [or about 3,000] hours ago, and focussed on Implementing the Challenger, and NOT defending old, often dysfunctional, Sales Approaches. Brian, thanks for the great comment. We can’t apply any of these approaches blindly, we have to learn, modify, and adapt them to what works best for our business and engaging our customers. Then we must execute, tune, execute, tune…..constantly improving. Disclaimer: I’ve read about Challenger a bit but I’m coming from a position of informed ignorance in what I write. 1) Challenging by formula is dangerous. It must be done with an overriding desire to help the customer achieve success as they measure success. (Teaching may influence their view of success and that is not outside our purview but we need to be careful to ask and suggest rather than tell.) I agree that I am biased but it is because I am limited to the resources that I can provide to help them. 2) I agree with David that the salesperson can’t know everything but if we are selling top-down then we need to have an executive-level view of the situation. I think this is actually easier to prepare because the higher up you go in an organization the more refined the concerns get, required less detailed knowledge of technical specifics. That’s how a CEO at Pepsi could become the CEO at Apple. If you think like a CEO and seek to understand your customer’s business situation from an outsider’s point of view, it should help you challenge effectively and then get the mandate to bring in your experts to talk to the customer’s technical experts. Challenging definitely takes preparation. I can’t do this for everyone. Hopefully I can do this for Pareto’s 20%. That’s where I’m working to develop as a sales person. Really interesting comment Gary, thanks so much. The “challenging by formula” comment really resonated with me. Too often, we take “off the shelf” formulaic approaches to solving our problems, then wonder why they aren’t working. We have to study and adapt them for our businesses, for example in your markets, it’s virtually impossible for any single person to deliver the levels of insight customers need and expect. Teams, leveraging the right resources are critical to doing this effectively, efficiently, and with credibility. Thanks for the great comment! Good selling habits are known to come from people using SPIN, or Consultative Selling, or Counselor selling or a few other solid frameworks. For me the best part of your most recent post was pointing out that one challenge many sales people have today is seeing themselves and then performing as the orchestrator of the insight. They don’t have to be the person doing everything but he/she has to be the person to make sure everything gets done. This comes up all the time with my clients as I’m sure it does too for you. what’s interesting though in this world of stakeholders going through more discovery and defining economic consequences and deciding to make a change without a salesperson involved is more opportunities plopped in front of the seller now seem to require sellers to be good at rescoping and changing the customer’s mindset on what’s needed. It’s like trying to educate a guy at happy hour on the hundred beers on tap when he’s just thirsty as hell and wants a cold one fast! Mark, thanks for the comment. Many of my clients are seeing Challenges in leveraging Challenger, so I thought it appropriate to address their issues directly. Also, Challenger has focused much more attention on the changing role of selling–bringinq our customer Insights more than anything in the past. While great execution of any of the methodologies produce insights, none has focused the attention so much as Challenger. Whether we agree with Challenger or not, the fact that the conversation about selling has changed so substantively is critical. Sellers have to be good (and always have had to be good) at rescoping and changing mindsets, that’s the nature of persuasion. The earlier we do that, the more likely we are going to create real value for the customer, and achieve our objectives. I’d much rather tell a buddy “let’s go get a homebrew rather than a Miller Light,” on the way to the bar, rather than try to convince him, when we are in the bar and Miller Light is just the easiest thing. So much great stuff here, Dave, I don’t know where to start – so I’ll just say Bravo on identifying the complexities here. There is no magic formula and with every new ‘system’ comes tenets that have been around for decades. This really should be a must read for anyone in B2B revenue generation. And your first response in the comments section could be a post on its own! I’m so flattered, thanks very much Maureen! The Challenger, or any other model, should never be considered a one size fits all model. Once we assume that the same things will work in all situations, all the time, we have become the same robotic sales people that the Challenger seeks to break ranks from. In order to be credible and effective, you must challenge the status quo for each and every situation based solely on the merits of each and every situation. Great comment Marc, thanks for taking the time to contribute. The various “Sales Formulae” used over the past 50 years are all the same, in that they seek to apply a labeled solution to remedy the issue of the previous model not working for everyone. I would contend that the best sales people from any era were all brilliant at what they were doing and succeeded because of that. They would have been good at Challenger too. Trying to replicate “the model” is almost impossible so why make a formula, strategy or whatever you want to call it, to try. The answer is that, as a top down strategy, it’s the obvious way to improve a sales function in a big organisation. The other obvious method is go and recruit all the best people ….probably just as unlikely to work. Evolving training methods in elite sport is a reasonable analogy. They have long ago given up trying to get talented athletes to imitate….try imitating other golf swings, try running like Jessie Owens or Michael Johnson….no…… the answer is what fundamentals make you great? now let’s enhance that and get you nearer to perfection……the perfect you, not the perfect imitation of someone else. Challenger is great, but not for everyone. What I have seen to be a great foundation in sales teams is not to make everyone the same, but rather take the sporting world development approach. Recruit the best people based on the core fundamentals – leadership, values, attitude etc., embrace diversification. Then take that diversified group and use their differences as a strength and not a weakness to be changed. Perhaps the missing piece in some sales teams, between good and great, is the team concept. Its not that hard to get one star sales person buts its really hard to get a whole team of people at or near the top. If that sounds labour intensive for the leadership, it is, but then so is every other strategy if it doesn’t work for everyone. In my opinion why not coach, lead and adapt as needed, and maybe stop looking for the magic formula with a label. David: Thanks for the very thoughtful reply. I really liked much of what you said. Clearly, a one size fits all approach doesn’t lead to the highest levels of performance across the organization. At the same time, I think there are some common themes, complemented by specific one on one coaching from managers that drive the highest levels of individual and organizational performance. For example, elite athletes practice and train in very similar ways, using similar underlying principles. Whether it’s swimming laps, working on stroke technique, etc for swimmers. Running plays, shooting foul shots, dribbling/passing practice in basketball, there are some fundamental similarities and best practice that are the foundation for elite athletes, just as they are for sales. Challenger or any of the other methodologies provide that sales foundation—so there is value to those and others. The real point I think many miss, which you focus on, is the role of the manager in coaching the team and individuals. Here’s where you focus on the applications of the principles to the particular strengths, capabilities of the sales person. So, without this, you just have a one size fits all. It’s the action managers take that make all the difference in the world. Dave, another thoughtful article with great commentary. Without re-hashing what has been written, I think a big part of this conversation is about the maturing process taking place in the selling profession. If you think about it, we have been applying rigor, discipline, science, empirical analysis and more to every area of business for decades…if not centuries. Except for sales. Think about manufacturing and all that has transpired since the beginning of the industrial revolution just as one example. And what if accounting systems had the precision of sales forecasts? Yet in the selling world, we are really just beginning to do these things “institutionally”. Sure, top sales pros have been applying much of what is being espoused since before Marco Polo. But at the institutional level, we are really just beginning. We are are adolescent striving for adulthood. And many of us don’t want to grow up! At least not completely. We are cowboys, gunslingers, risk-takers, artists. We don’t want to be put in a box and tied to systemic encumbrances. But to a certain extent we have to, because our audience (the buyers) demand it. And that is one of the things I LOVE about Challenger, it embraces the entreprenuerial, artistic, risk-taking, gunslinging attributes that brought us to selling to begin with. It’s a great, challenging (forgive me) journey. Thanks for your insight. Hi, David. Patrick Spenner here with CEB. I run CEB’s programs for Marketers. I love your post, and especially the thoughtful posture you take in collectively driving forward our understanding of commercial effectiveness. Some very thoughtful responses/comments, as well. I sit right down the hall from Brent and Matt. Needless to say, we’ve been collaborating a LOT these past few years, as so much of the Challenger story, as we’ve come to learn, is broadly about an organizational capability, less about a specific sales pitch methodology. That means Marketing and Sales both have critical roles to play. 1)	Sales person as orchestrator of insight delivery—we’d agree that in practice this often feels more like a team sport than an individual sport. We do see that Challengers, in the purest form do exist, and is still the right aspiration. However, in many cases, it’s unfair to ask sales reps to answer 2nd and 3rd order questions that customers fire back at them related to insights about their business. However, when you do take the team sport approach, you still need the commercial voice taking control to conduct the commercial coaching of the customer and close the deal. We’ve spotted examples of companies getting this right. In research we did last year, we profiled a shift that one food ingredient company had made to enable this kind of orchestration of insight within their key account teams. The landed on a triumvirate of roles serving their key accounts—a commercial person, a subject matter expert they could call on from time to time, and an “account marketer”, who goes deep on the customer’s business. To create this account marketer role, they had to rethink the broader marketing structure, invest more in gathering primary and secondary research to spot insight opportunity in the customer’s category generally, and then combine that with contextual knowledge of the customer (gathered from a variety of sources) to be able to orchestrate and deliver framebreaking insights to the right stakeholders inside key account customer organizations. Remarkably, they did this in a budget neutral way, by shifting role definition and gathering different kinds of (not more) information than they had historically. My point: to enable sales to be orchestrator of insight delivery requires a re-think of the information inputs, and probably the people/roles who synthesize the information to get the insights. This approach makes sense for key accounts, but not every account is big enough to support this kind of individual account effort. So what do you do then? See next bullet. 3)	Challenger demands that Sales and Marketing work together differently, stretching from pre-funnel where customers are learning, all the way through the sale and beyond. The days of a handoff somewhere in the mid-funnel are clearly dead. And I’d characterize the working together as much more than simple coordination (who is doing what, and when) to true collaboration (synthesis of ideas; building on each other’s insights and ideas; incorporating insights from Marketing into Sales interactions; incorporating Sales insights into marketing content and demand gen). We believe Marketing and Sales collaboration should be driven by how customers learn. There’s a bit more detail in a blog post on tenets of Challenger Marketing that Brent and I wrote last week over on the Forbes marketing blog. Thanks again for sparking a healthy dialogue on these ideas and promoting the joint learning that we all do along the way. Eager to continue the thread. Patrick, thanks for joining the conversation (I was wondering when you guys would show up.). You have a lot of good stuff here, let me try to build on some of the ideas. 1. One of the most important underlying notions of Challenger is it’s really a business strategy, not just a sales and marketing strategy. I think it’s important not to limit the discussion and focus to sales but to look at how we structure our organizations to more effectively engage our customers, providing greater leadership in helping them achieve their goals. (As a side note, almost 2 years ago, I asked Matt, “Where are the CEB Marketing guys, they need to be part of this discussion”—so great to see you here. 2. So much of Challenger has focused on the initial Insights or the teaching pitch. I can understand that, everyone I talk to is saying, “We need to get in the door, we need to catch our customers’ attentions.” But too little has been written about “What do we do when we get the customer hot and lathered to change?” I think the role of that Commercial Voice or the Orchestrator the sales person plays has really been overlooked. One of the key findings about Challengers is that they move things along. They keep the customer engaged, their company resources engaged, and move things through to produce results–for the customer and their own companies. This IS the sales person’s job and responsibility. We need to talk more about this aspect of challenging and how to challenge and provide insight through the entire process, not just the initial teaching pitch. 3. I think we have to rethink the whole concept of “insight delivery.” Certainly in very complex situations, it has to be a team sport–sales executives have recognized this for decades with specialist, technical support, application, industry experts, etc. But it may be both more cost effective and impactful to have a small team of “trained killers” on the front end part of the process, the insight delivery; training the sales person or orchestrator about how to recognized the opportunity to bring the expert in. To be honest, I think we may be wasting a lot of time, money, and impact in trying to get everyone to teach the customer or help them unlearn. I think there may be more impactful, effective, and efficient models for doing this. Instead, we need to focus our attention on, with the sales people, is that commercial direction/orchestration role–because that IS their job. So, I’m arguing for a more thoughtful approach than a one-size-fits all. 4. Marketing should certainly prime the customer for insight. Much of the traditional role has been that–perhaps not quite in the form that CEB is taking it, but their job has been to create awareness, interest, visibility —softening the beaches, and creating demand. But I think there is an opportunity to re-invent marketing to go far beyond that. First, we have to stop thinking of the “marketing funnel” sitting on top of the “sales funnel.” We have to think of the marketing and sales processes as tightly interleaved. The insight delivery (whoever delivers it), may be the first point of contact–orchestrated by sales. Marketing might continue the learning/teaching process, building that interest and catering to the desire customers have to self-educate. Sales will inject themselves periodically. They may be orchestrating the whole process from beginning to end, or may step in at one point to take over orchestration. In this tightly interleaved process, marketing stay engaged much later than traditionally. Both in providing impactful content, and tools the sales person can leverage through the process. (Here I think dynamic sales playbooks and dynamic customer playbooks–for and consumed by the customer, can play key roles.) It’s not beyond the realm of possibility to think that marketing drives the order creation. So if we look at Challenging as an overall strategy and organizational imperative, we can reconstruct our functions to more impactfully, effectively, and efficiently deliver engage and manage the customer buying cycle (and more). I could go on, your comment really sparks and deserves much more discussion, but I’ll stop here. I think we are broadly in agreement and there are natural differences in implementation and execution. Most importantly, these are the types of discussions that should be happening in organizations–at the CEO level, and certainly with Sales, Marketing, Customer Service, and Product Management. We need to reinvent what we do and how we do it to provide greater leadership to the customer.